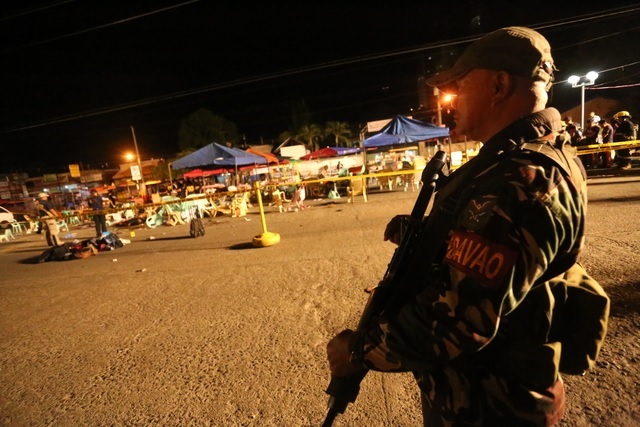 MANILA, Philippines - The peaceful city of Davao was rocked with an explosion last Friday night (September 2) that took the lives of 14 individuals and injured at least 67. But who did it? 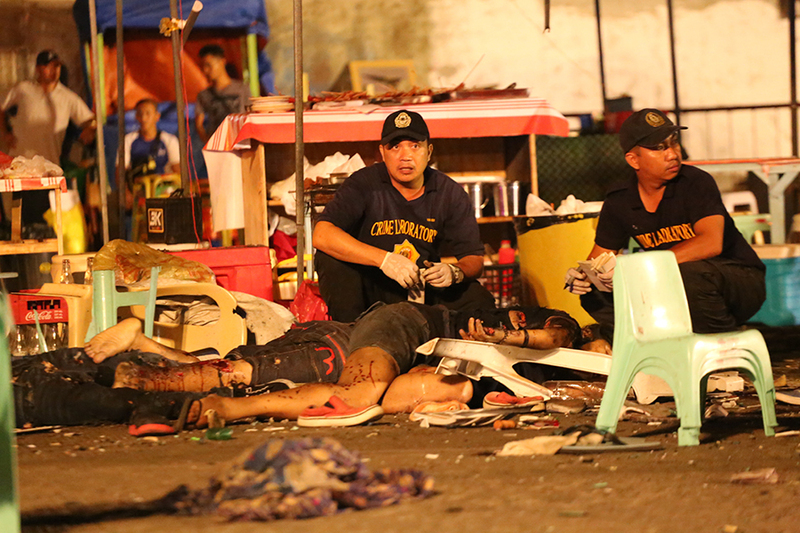 One of the main suspect behind the bombing is the ever notorious terrorist Abu Sayyaf Group (ASG). PNP chief Director Ronaldo Dela Rosa cited on a press conference last Saturday night that this could be a strategy of the Abu Sayyaf group to decrease the forces of the government that has been hunting them in Sulu and Basilan. The PNP chief added that "this might be a diversionary tactic para ma-stop yung pressure dun sa kanila (ASG) and divert tayo from being offense." During the press conference, Dela Rosa informed the public that two females and a male are also being considered as 'persons of interest' with the attack. The PNP confirmed that they already have the artist’s sketch of these people who could have a hand in the crime. Aside from this, dela Rosa also reported that Abdul Manap Mentang, the primary suspect in the Valentine's Day bombing of the Davao City Ecoland Terminal in 2005 could also be behind the attack. The chief director made this assumption due to the similarity of the improvised explosive device (IED) used last Friday night with Mentang's signature IED. Mentang is still at-large as of this moment. Drug lords and political opposition helped fund Sayyaf group? But the most recent development is that the probable culprit behind the attack is the ASG, but with some help. Earlier today (Monday), Dela Rosa admitted that the attack could not have been done singlehandedly by the ASG inside the bailiwick of the president of the republic. Dela Rosa opened the possibility that the bombing was a connivance of powerful forces who maneuvered the way for the Abu Sayyaf to do it flawlessly. And this has been seconded by Peter Tiu Laviña, Duterte’s campaign spokesman. On his Facebook account, Laviña connected the dots and even revealed on who could have been these ‘powerful forces.’ For Laviña, the Davao blast is a grand attack staged by a triad: the Abu Sayyaf Group, the drug lords who could have provided the funds and the political opposition who could have administered the operation. The Duterte administration is currently administering an all-out war against drug syndicates operating in the country. The ASG has been claiming that they were the mastermind of the bombing. However the group stated that the main reason behind the bombing was a message, specifically a "call for unity to all mujahideen in the country." Mujahideen are the people who are engaged in a jihad or holy war. According to their spokesperson Abu Rami, more attacks are planned "in the coming days." It can be noted that Duterte formally ordered the military to pulverize the homegrown terrorist group by deploying a 7,000-strong military force, the highest number to go head on head against the extremist group since its formation. On the other hand, the Communist Party of the Philippines gave their own perspective on who could be the main figure behind the incident – the United States of America. The group's Southern Mindanao Regional Party Committee led by Siegfried Red announced that it was a "US-imperialist attack" staged in order to disparage the popularity of Duterte. It can also be noted that Duterte earned flaks over his diplomatic faux pas and for throwing a mouthful of words against U.S. Ambassador to the Philippines Philip Goldberg. The US is also condemning the increasing rate of killings in the country due to the war against drugs. 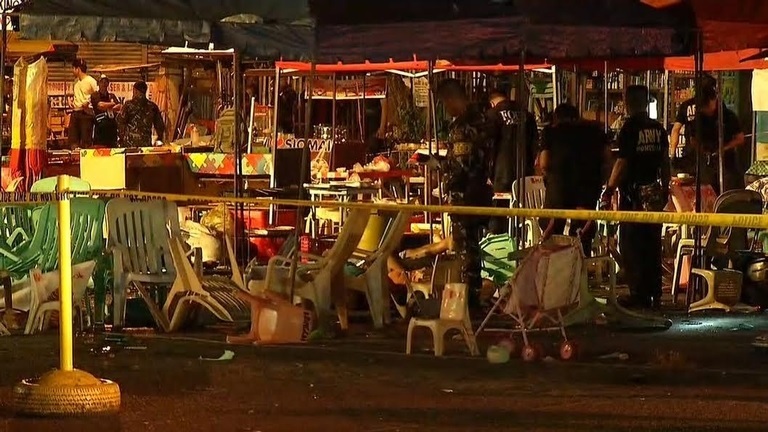 A night after the blast, Davao City Mayor Sara Duterte announced that stalls in Roxas Night Market will open as usual. 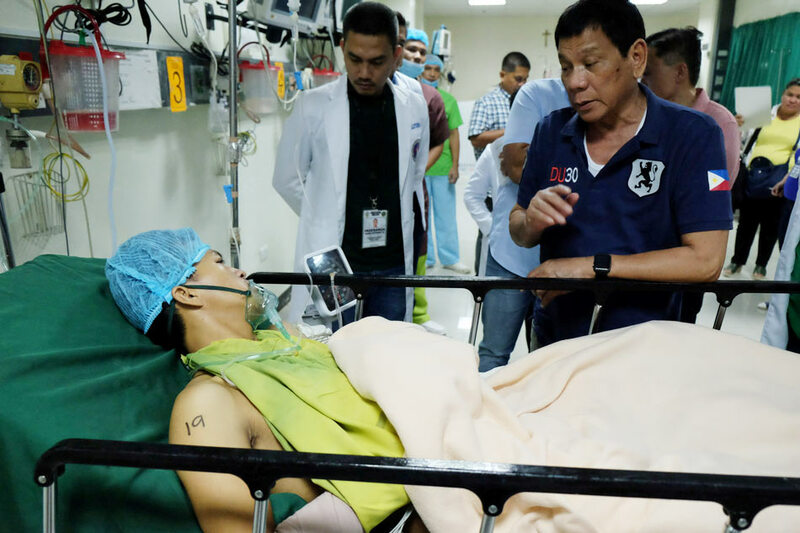 Mayor Duterte also took action by placing a PHP 2-milllion peso bounty for the arrest of the suspects of the Roxas Night Market bombing. 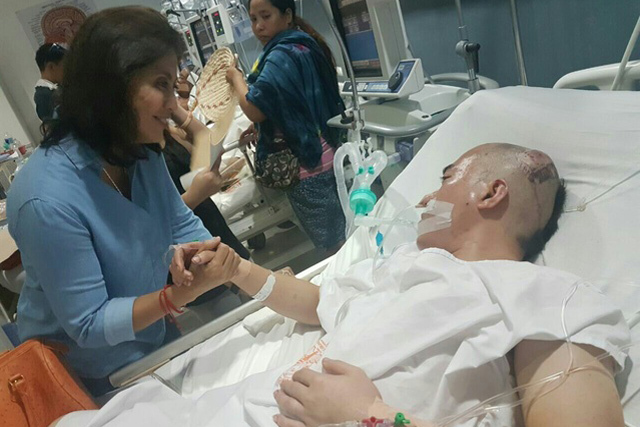 Vice President Leni Robredo also went to Davao to grieve with the family of the victims. The vice president also called for a “calm, collective action” in seeking justice and resolution on the matter. "We condemn this senseless and criminal act. In this difficult time, we must not allow violence and fear to divide our nation. Rather, let us all come together in fighting against the scourge of terrorism," Robredo added. Like Us on Facebook and Follow Us on Twitter for updates on this story. #StayStrongDavao: "We will not be terrorized by this heinous crime"